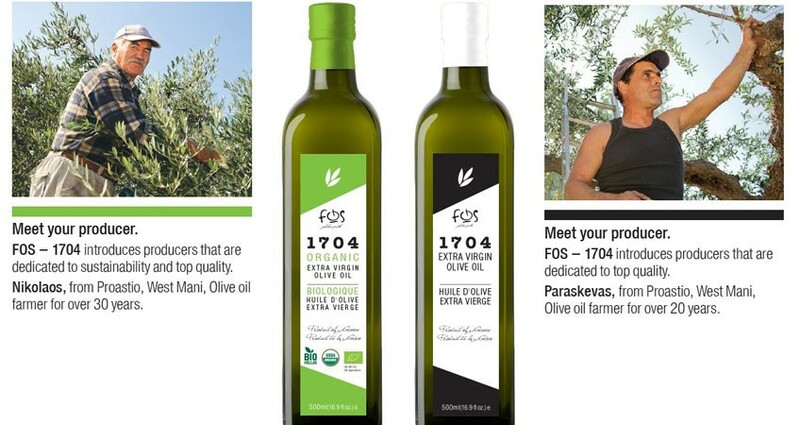 FOS 1704 exhibits a consistent quality that is derived from a selected circle of olive oil farmers that are dedicated to quality standards that FOS olive oil sets.FOS olive oil producers that they are dedicated to FOS-1704 olive oil standards, are introduced at the back label of every bottle. These lifelong partner producers ensure that the olive oil we buy is derived with care and according to our standards. The knowledge of our suppliers guarantees the quality of our olive oil from the first to the very last drop.